Charter a NEW Ellis – Now accepting charter clients on our new “yet-to-be-named” Ellis 36 Express Cruiser. If you are seeking a vessel that has that “new boat smell” when you walk onboard, this is the boat for you! Also featured on this Ellis 36 Express Cruiser is a new layout with a “breakfast bar” in the cabin. 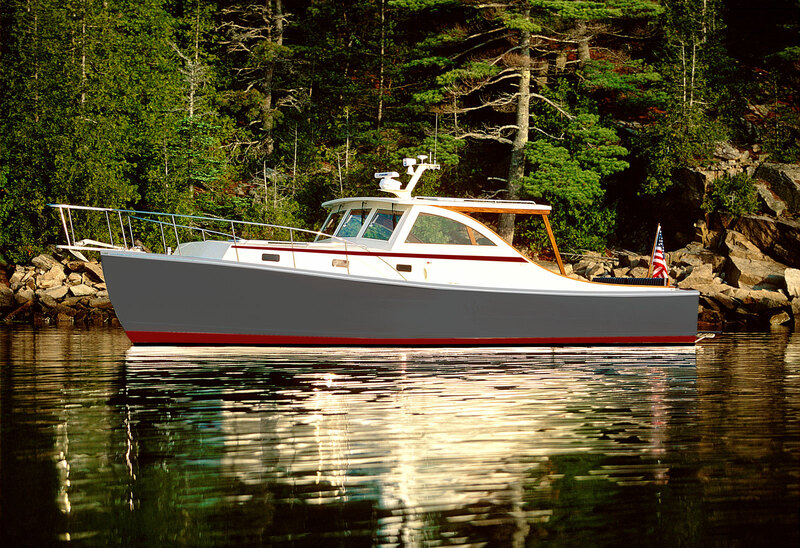 This NEW Ellis Express Cruiser includes: Single Yanmar 440 diesel engine, 5-blade prop and high-speed rudder, full keel/skeg protecting prop and rudder, bow & stern thrusters, Garmin radar/plotter, matching Ellis Tender on davits, large galley (refrigerator, freezer, stove-top), versatile Ellis dining setup in pilothouse (seats up to 8 people), head with separate shower, transom door, swim platform, and matching Ellis tender. Sleeps 2 in cabin and 2 in the shelter. Comfortably cruise at any speed up to 20 knots with consistent handling thanks to the Ellis semi-displacement hull design. Top speed 25 knots. Call, text, or email Shane Ellis to schedule your bareboat charter today.